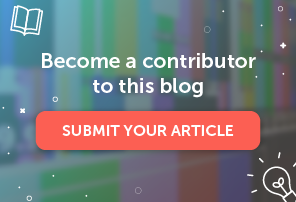 Having email newsletter templates on hand is valuable for any email marketer, and today, we’re going to walk through the top five you should always have ready to go. 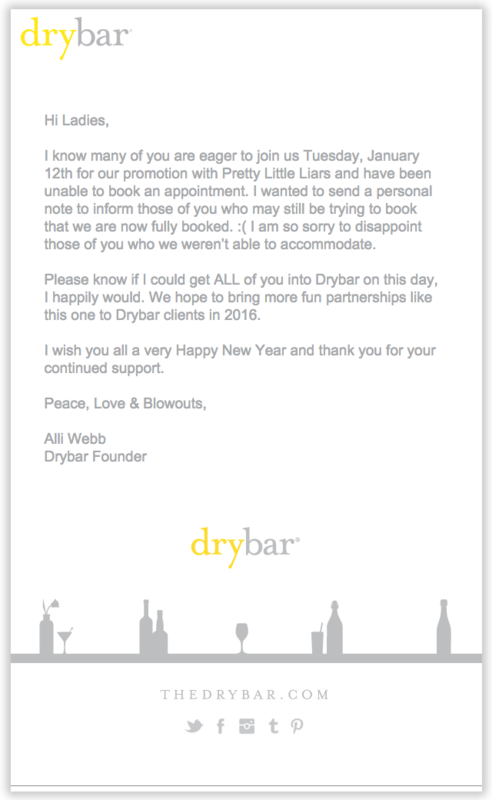 Even for brands with a primarily visual style, a simple letter-style template is essential to have on hand, particularly if you need to send a note to subscribers in a timely manner, like an apology email. 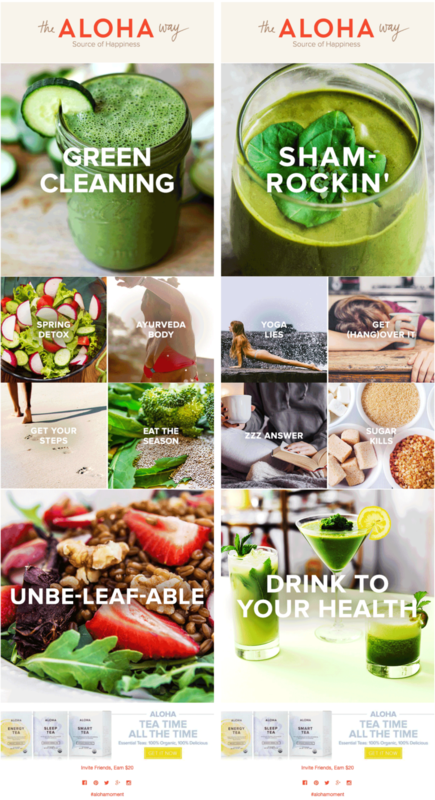 Format each of these items to match your visual brand standards, and your text-based template will be ready to go at a moment’s notice. Think about the promotional content on your website. Are you inviting subscribers to participate in an online webinar, offering them a free report or e-book to download? You’ll want a well-designed invitation template for your online lead generation efforts. If you’re a publisher, this is one of your most valuable templates, only second to your newsletter template. Why? Because it’s the template used for uploading content and promotions from your advertisers. Here is an example of an invitation email from theSkimm. 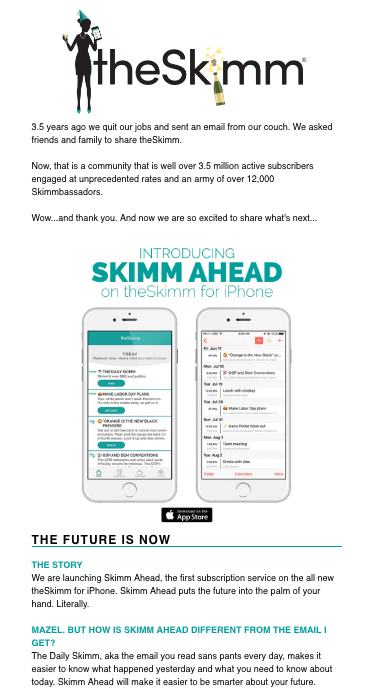 To invite existing readers to try out their new app, the Skimm Ahead app, the subscription service styled their promotion email similar to their daily newsletters. Even though there aren’t overt call-to-actions, theSkimm employs a short intro featuring the app prominently, plus a mock Q&A section written in their trademark tongue-in-cheek friendliness, to help readers get to know the app without being pressured to buy it. Another email example from HomeAway manages to tug at the heartstrings with an invitation email inviting subscribers to enter a romantic vacation sweepstakes. 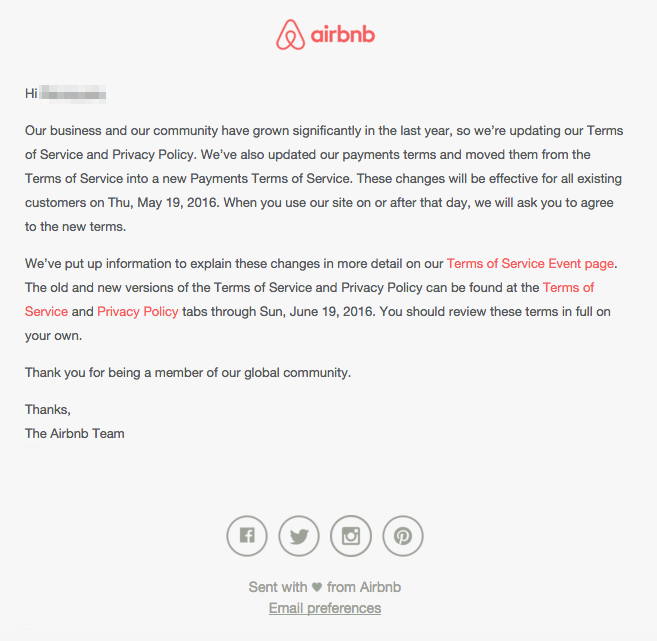 Not only does the email immediately grab the eye with a strong visual image, but specific keywords reinforce the sweetness (“romantic, fairytale, luxurious, enchanting”). Plus, the strong call-to-actions (one more visual than the other but both using romantic words like “epic” and “dream”) make this email promotion feel more personal. These templates are likely to be updated significantly from one use to another, especially when announcing new products (you’ll probably have special art and color schemes dedicated to the new item), but it’s valuable to have a template with a structure and standard width and flow in place. 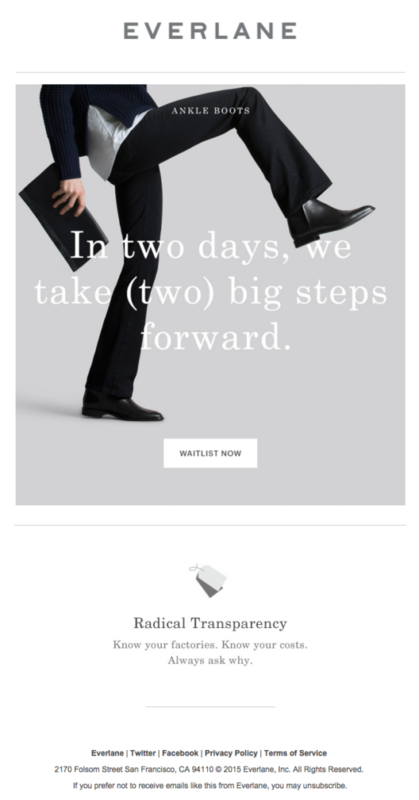 Everlane, for example, always needs the same header, content dividers, “Radical Transparency” content section, and footer for announcement emails like these. Product feature emails have become a real art. 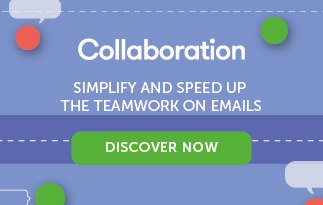 Designers and email marketing teams create sophisticated infographics, visual stories, photo collages, and much more. 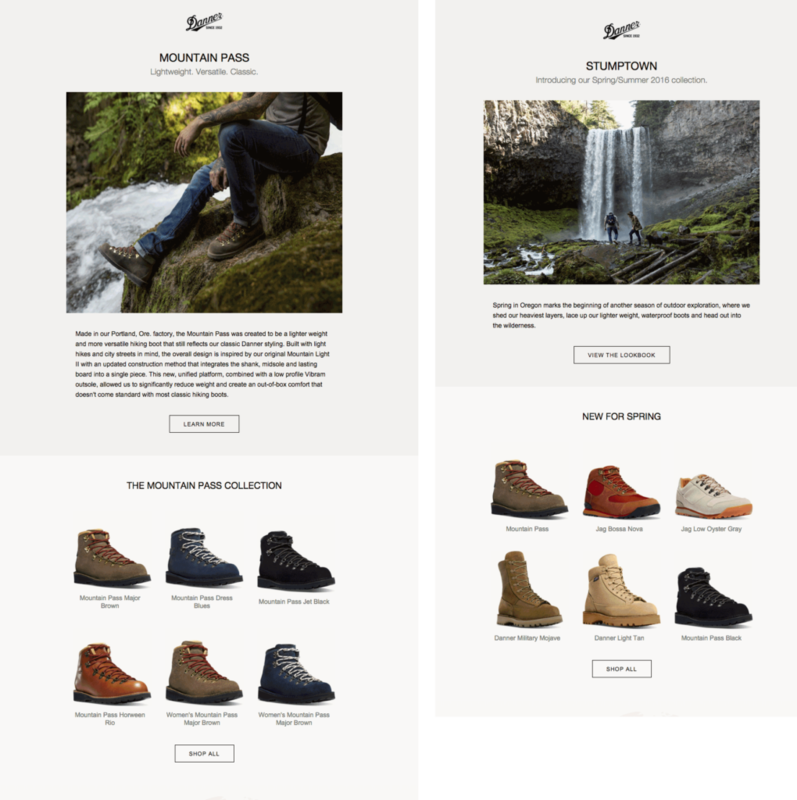 And with the email volume that brands send, having a baseline product email template is important, especially for regularly-scheduled product offering messages featuring multiple items. 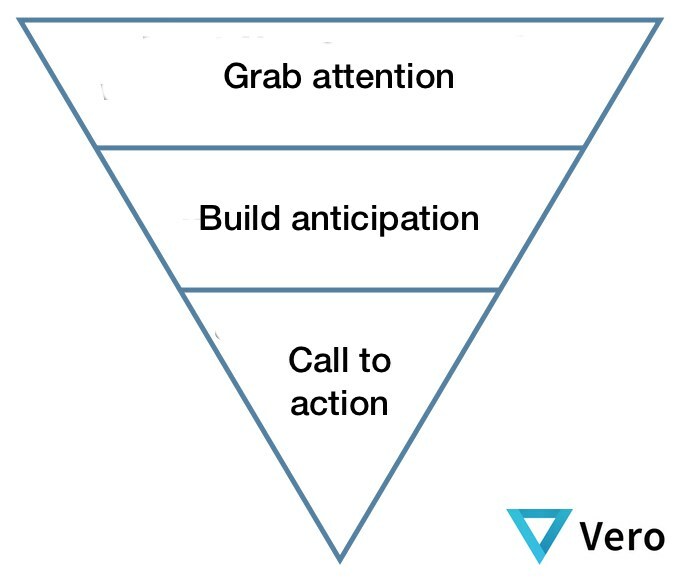 Most product feature emails break from the single-column structure and use a grid-based layout. Since keeping a grid formation often means items are difficult to see on mobile devices, make sure these messages are responsive so products reposition into one column. 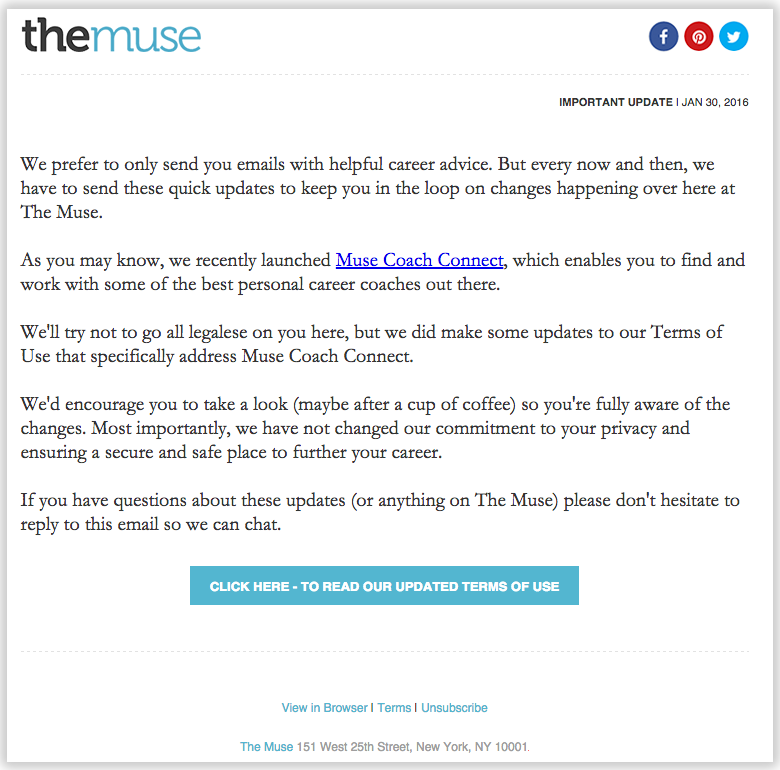 If you’re looking for an easy way to design newsletter templates like the ones discussed above, try MailUp. You’ll find dozens of beautiful, professional-quality email templates to choose from, save your work in, and use again and again for all of your newsletter needs. Here are just a few examples of the templates – check out MailUp for more.